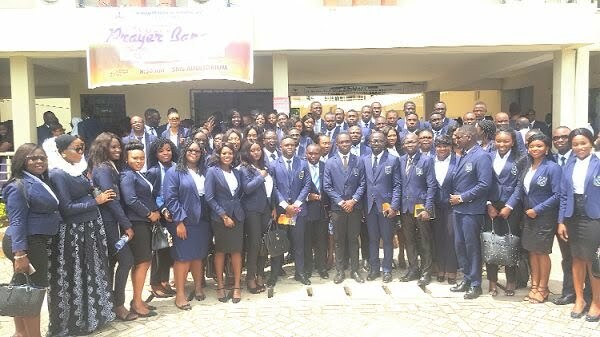 The University of Cape Coast for the first time has admitted fresh students from the senior high school into the Faculty of Law to undertake a four-year Bachelor of Law (LLB) degree programme. A total number of one hundred and one students were inducted into the Faculty of Law, UCC with thirty-seven students being undergraduates and sixty-four being postgraduates. Speaking at a Roll Call ceremony organized by the Faculty of Law to admit fresh students to pursue a Degree in Law, the Dean of the Faculty of Law, Mr. Kujo McDave admonished that acquiring a Law degree requires sustained efforts. “To be successful, you must make use of the facilities, tutors and the academic apparatus available. “Endeavor to be punctual and regular in all your class attendance and at all meetings, undertake personal readings and research, be open minded and seek to contribute to knowledge and think through some of the challenges facing our society and providing solutions,” he said. The Vice Chancellor of the University, Prof. Joseph Ghartey Ampiah, in his speech, charged students to be realistic and strive to become good and renowned lawyers. Prof. Ghartey advised students to be focused and to develop a positive attitude towards their studies, to be creative and be solutions to problems in the society. “There are so many attractions in life that can distract your attention but this is not the time for you to look at these attractions. “Learn to plan your activities well ahead of time and have a clear sense of direction,” he indicated. In the induction session, the Provost of the College of Humanities and Legal Studies, Prof Dora Edu-Buandoh welcomed the students and encouraged them to study hard. 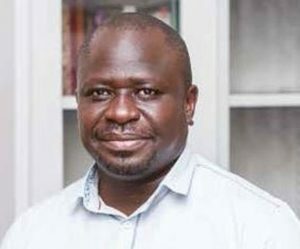 “Our students have always excelled in every situation they find themselves, so I want to encourage you to learn that tradition too, we wish you also excel in competitions. “I also want to encourage you to be humble because if you are humble, respectful and hardworking, you will succeed wherever you go,” she said. In the induction session which is organized in the first semester of every academic year to induct students into the Faculty of Law, High Court Justice, Her Ladyship Justice Mrs. Olivia Owusu, led the students in pledging and in the administration of Oath. 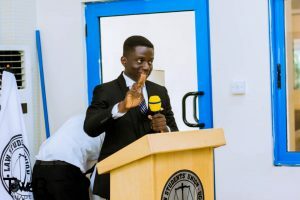 The event was used to award continuing students who have exhibited hard work in their studies as a way to encourage all students within the Faculty of Law to study hard in order to excel in their academics.